We are delighted to host this Guest blog from John Bryden who was External Adviser to the Scottish Office Land Reform Policy Group (LRPG) 1997-1999. John delivered the 3rd John McEwen Memorial Lecture in 1996 and now lives and works in Oslo. Further details of John’s involvement in land relations are detailed at the end of the blog. Further publications by John together with contact details can be found on his website and he can be contacted via email jmbryden08@gmail.com. Land Reform in Scotland was always going to be a big mess, and it is! It’s not the fault of the SNP, or Labour. Scotland badly needs a redistribution of property if it is to build the kind of social democracy, and more equal society, that Norway has. The sentiments and history that could encourage such a society are much more ‘present’ in Scotland than they are in England, or indeed in many other countries of the world, but the political, social and economic conditions need to be built over time. In my view this is essential for the kinds of policy reforms that I – and I think many others – believe Scotland needs, whether as an independent nation within the EU, or whether under ‘devo-max’ or a federated structure of some kind. We cannot evolve distinctive, just, and fair policies under present UK political conditions, which are deeply affected by the structures of inequality of wealth, income and opportunity that those same political conditions have created. It was the equal distribution of property that gave Norway its large number of voters in the first half of the 19th century, and which shaped its political, economic and social advances after that. Norway’s ‘exceptionally liberal’ constitution of 1814, adopted following independence from Danish rule, gave the vote to all owners of land, making about 45% of males over the age of 25 eligible to vote. This compared to a mere 4,500 male property owners out of a population of 2.6 million who had the parliamentary vote in Scotland after the much-lauded British Reform Bill of 1831. The important point is that Norway’s political settlement on independence from Denmark, its relatively large number of property owning small farmers and hence voters, together with the creation of strong local government shortly afterwards, established the political conditions necessary for Norway’s extraordinary development over the following 150 years or so, a period when it moved from being among the ten poorest nations in the world to being in the top ten. However, the world has moved since the 19th century, and we now have – irony of ironies – a European ‘Human Rights’ legislation that protects property owners, and under present conditions makes it impossibly expensive for any government to make radical changes to landownership directly. So radical land reform in Scotland has to be started mainly through an indirect approach, through land taxation and other measures that progressively limit the land market in ways that inhibit speculation and investment in land as a store of (great) wealth, and encourage ownership by individuals who work the land with their families, and by communities working together. (2) that they should be ordinary persons and not limited companies or corporations, and that they should demonstrate appropriate skills and training. There would be a lower size limit on these rules to avoid negative effects on the crofting community. I would add that nothing I have said changes my support for the key measures of the limited reforms undertaken after devolution (and, let us remember, only possible because of devolution). Small steps indeed, but steps in the right direction. The Land Reform Policy Group (LRPG) was inhibited on the topic of land taxation because of the limited tax powers in the devolution settlement, and the sensitivity of the taxation issue at that time. The LRPG also received legal advice on the impact of the EU Human Rights legislation. The report of the current review group must in my view be judged not by its ability to tinker with existing reforms, but by its future vision and the practical measures it proposes to reach that vision. John Bryden was external advisor to the Land Reform Policy Group established by the Labour government in 1997, and which reported in 1999. Most of the LRPG proposals were implemented by the Scottish Parliament after Devolution. He also served on the first Scottish Land Fund until its absorption into the ‘Big Lottery Fund’. He was earlier largely responsible for the HIDB Land Reform proposals in the period 1976 to 1979, while head of the land development division. In 1996 he gave the John McEwen Memorial Lecture on Land Tenure and Rural Development in Scotland where he argued, among other things, for the introduction of Land Value Taxation. Between 1995 and 2004 he held the Chair of Human Geography at Aberdeen University, and was co-Director of the Arkleton Centre for Rural Development Research. John read Political Economy at the University of Glasgow, and took a PhD in Development Economics at the University of East Anglia, where he also taught for some years. He currently lives and works in Norway where he is collaborating with a number of Scottish and Norwegian authors on a book that seeks to explain why Norwegian and Scottish development paths took such radically different directions after the 18th century. (1) Note as a matter of interest that kommunes in Denmark levy a land tax which is also owned on land owned abroad. This means that the 290,000 acres of land in Scotland owned by Danes is contributing to municipal services in Denmark but none in Scotland. What are “appropriate skills and training”? It is usually defined by countries like Norway and Denmark in terms of practical skills in forestry, farming, horticulture, livestock husbandry, either learned on the job or in some institution of further or higher education. ownership regardless of what I wanted to do on that land or any capacity I may have to learn them? This concerns me as well. I have a qualification and eperience in Theatre, specifically small scale theatre for villages and small towns, a certificate in Permaculture, a form of small scale agriculture, which I’m gradually backing up with eperience, and I’m working through a three year apprenticceship in carpentry. I’m doing this specifically so wit the goal of one day moving to a small rural community and being able to contribute to the local economy and cultural life. Which is fine unless the person or people with the power to decide if I should be ‘allowed’ to do this accepts those qualifications and I can convince them I really do have the experience. What if they haven’t heard of Permaculture, or they don’t understand the role of theatre and storytelling in small communities? Or they simply refuse to accept a certificate from an organisation that isn’t state recognised? Or they decide they don’t like me and are looking for an excuse to keep me out of their village? the aim of the restriction is to stop speculative and investment purchases. It is quite a simple matter to take the necessary qualification, and in the Nordics the training is free! So people who do not have the skills can easily and cheaply acquire them, and then buy the land. I can see the logic behind the idea: it makes sense that the land should be worked by people with a stake in it and who will know how to maintain it, but your reply isn’t that reassuring. Firstly it assumes you already live in the area, or you can get the training that is deemed ‘appropriate’ wherever you do live. This assumes that you can afford it, and that you have time to do it. One of the attractions of somewhere like Scotland for someone like me is that whereas in Germany I’d have to do another two year ‘masters’ course before I could technically open my own carpentry business, in Scotland I could start one with the training I had. If I have to do another course and then pass another exam to be even considered as a potential new resident, then it seems the system would keep people like me -who are planning and investing the time to prepare for a new way of life- out in the cold unless we go and spend yet more time getting yet another qualification, which may or may not actually be relevant to what we want to do. Bryden writes, “we now have – irony of ironies – a European ‘Human Rights’ legislation that protects property owners.” Irony of ironies? I was born in a country that stole property twice – first Jewish property under the Nazis, then farmers’ land in the so-called German Democratic Republic (GDR). To hear that someone with obviously no historic perspective was an advisor of the Land Reform Policy Group should make you think twice about the quality of their deliberations! I suggest you read up more on Scottish history, from which you will discover how the small number of large landowners or their forebears acquired their land and property, as some historians argue ‘by theft’. What an astonishingly arrogant thing to say! Do you seriously imagine Reiner – or indeed anybody with half an ounce of knowledge of elementary history – needs to have a finger wagged in his face like that from the “property is theft” brigade? Not sure there’s any need to respond in such an inflammatory manner. I think the point John is making is simply that the ECHR regime came into force after countries like Finland & France had undertaken substantial land reform. In Scotland it serves to provide protection to a system and pattern of ownership that has never been reformed in the same way. That is an uncontroversial observation that has been made by many academics and students of land relations in Scotland. I know what his point was. My point was the patronising manner in which he expressed it. Why I wonder set Bryden ‘Human Rights’ in inverted commas? I am only a Kraut but to me seems to have a meaning. What about the human right of the tenant to make a living? Free from fear of eviction or rent racking? Land reform is a mess because labour didnt do it right in 2003. If they had, landlords would now be ancient history. The snp have had ample time to fix it, but are uninterested as they love landlordism. I am talking about human rights enshrined in the ECHR. The tenant landlord relationship is regulated in civil law. That’s not different in Scotland from any other European country. 1) Does your proposed requirement that a purchaser of land should be a Scottish income tax payer accord with EU law? 2) A limited company might legitimately wish to purchase land to use for local industry -e.g. furniture manufacture. How do you propose they should go about it? 3) Someone may wish to retire to the country, and wish to buy a couple of acres. Do they have to demonstrate ‘skills’? Good point kininvie. Is John Bryden suggesting that a limited company would be allowed to own, say, a petrol station or a shop but not a farm? Does your lower size limit allow a company to own a croft? Are companies allowed to own land in Norway? If they are, then why? 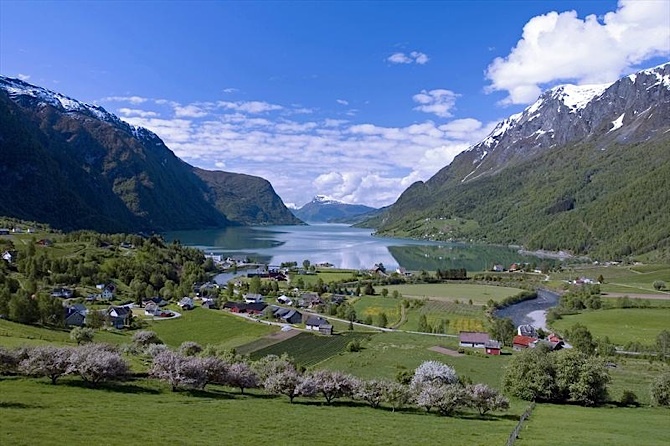 Does Norway have any other useful lessons in landownership it could teach us – for example minimum shoe size of the owners? 1. As I understand it, land law remains a Scottish issue, and I don’t see why such a rule should not be established there. But there would be many who will contest it, I am sure. 2. I am here talking about activities on land that do not fall under planning laws – i.e. agricultural, forest, and land for hunting, rough grazings etc. Once planning permission has been awarded, then different regulations would apply. is the case in Norway. Just to make sure I’m understanding point 2., so long as land is in an undeveloped state, it can’t be owned by a company but after planning permission has been granted it can. Is that it? Is that what happens in Norway? What would be the rationale for making the distinction? I think the logic may be that after land is allocated as building land te value shoots up, and the owner may have to pay a different tax bracket and finance things like sewage pipes, etc. The idea could be to stop companies buying cheap land that is then reclassified and selling it on at a massive profit. Is it okay if an individual taxpayer or a partnership does the same thing, Andy? I heard that many of the huts in Norway were owned by large corporates like BP. Is this true? As far as I know by far the majority of hytter are owned by families, and according to Leslie Riddoch who is studying the subject, about half of the Norwegian population have access to a Hytte (Hut). Typically, as I understand it, the land on which huts were are are built is still owned by small farmers, but the hut belongs to the person building it. The DNT (Norwegian Touring Association) also has many Hytte which are used by members for a small fee (and non-members for a larger fee). DNT is a voluntary organisation. I know that some companies also have Hytte for their employees, but have no specific information on BP or other oil companies. is not true as you very well know. The houses and business premises on that land pay rates and Council Tax. Gilding the lily by telling untruths shows that you don’t have enough confidence in the truth to carry your argument. Please do not make allegations of untruths on guest blogs. The 290,000 acres referred to have very few properties subject to business rates and council tax. In fact, I would estimate less than 10. I think most people understand the phrase “290,000 acres of land” as meaning land and not houses and business premises. This is not “my argument” or John’s argument – merely a footnote drawing to further illuminate the substantive point. Apologies. I thought the footnote was your [Andy’s] addition to John Bryden’s article. Applying the canons of statutory interpretation, I agree the words are susceptible of the meaning you contend but they’re equally susceptible of the meaning that the estates, properties (call them what you will) owned by Danes don’t pay any local taxes in Scotland. JB is therefore guilty of writing in ambiguous and potentially misleading terms – not ideal for a policy advisor and surprising for one with such a long list of credentials. For the record, the footnote was written by me & added with the approval of John. I am relatively new to blogging Andy, and I’m really surprised that you are nurturing a blog that allows, what seems to me, hostility between bloggers. I am delighted to have an opportunity to hear the views of others, and delighted to have the opportunity to reply, but could you please ensure that this LAND MATTERS blog does not turn into a slagging match between individuals. Instead of reading informed opinion, I am often subjected to bad manners and intolerance from certain bloggers. Please do something about this. I hear what you say and I do have a comments policy that you can read here. I do not want to inhibit debate and discussion but I do agree that sometimes this might not be adhered to as rigorously as it should. I do not have the time to police this in great detail and at times have had to switch all comments to pre-moderation (meaning I have to approve them before publication). At the moment, anyone who has already had an approved comment can post without any pre-moderation. But I take your point and will do what I can to ensure that standards are adhered to. Thank you for your comments. I am attending a fascinating course provided by Edinburgh University and given by Stuart McHardy, a senior lecturer in history at the University. The two ‘set books’ are Clearance and Improvement by Tom Devine and The Poor had No Lawyers by Andy Wightman. I commend these books to all contributors to this Land Matters blog. Both are available from Blackwell’s Edinburgh. Had a look at other core readings: Wightman, A., Wightman,A. Makes three out of seven Wightman, A. Are they by any chance related? John … I’ve only just caught up on this being hard pressed with other matters, but what you’ve said here is a set of perspectives that I completely share, and which you have articulated with great clarity. Land reform is not rocket science, but it is about power. My view has always been that land value taxation (akin to the Sporting Rates that the conservatives abolished in the 1990s – the mechanisms to restore them must still be on file) should be used to de-capitalise land values just as you have described, and create a fund by which the lairds progressively finance their own clearance, exempting community groups and such kind as working farmers. Nobody has a right to be excessively rich, to add field unto field for themselves. They only have a right to participate equitably, within a social contract, in the community and its resources, and I believe that is what the mainstream drift of Scottish politics, across several parties, tries to give expression to. I’ll tell you John, I’ve lived getting on for a decade now here in Govan, and every day Verene and I encounter folks who are being squeezed quite literally to despair, self-harming behavior and even suicide. I spent yesterday evening with a group who were literally in tears, some of them, as they wrestled with the sheer lovelessness of what is happening in their lives just now. It’s not the pips of the rich that are squeaking just now; it’s the needs of the poor, for whom there is no work. That’s the Scots democratic intellectual principle for you. That’s what it means to be more than just individuals rattling like empty buckets in our selfishness, but interconnected members one of another in community. And that’s the spirit that can breathe back life itself into the land; indeed, the world. Thank you, John, for your wise contribution in this essay, and to Andy, for his tireless and usually thankless effort to hold a space for this debate. Alastair, how do you envisage land reform helping lift the unemployed people in Govan out of the despair you describe? I wonder, what is the origin of the word ‘tosh’? Does it come from MacinTOSH? My father-in-law who hailed from Ness on Lewis always used it. You’ll have to ask whoever made the law: I wasn’t passing any judgement on the ethics behind the idea, just musing if that is the reason. I was just puzzled why you were talking specifically about companies. Andy, I think Reiner’s point is that a land speculation company could easily circumvent the restriction by getting an individual or some other vehicle such as a partnership or a trust to front them. Meanwhile someone such as a farmer who wanted to hold his land through the medium of a company for perfectly legitimate reasons would be denied the ability to do so. That being so, John Bryden’s idea that land can’t be held by a company before planning permission has been granted for its development is one of the daftest I’ve ever heard. So daft that it can’t be right and I would urge John to come back and clarify what he actually meant.